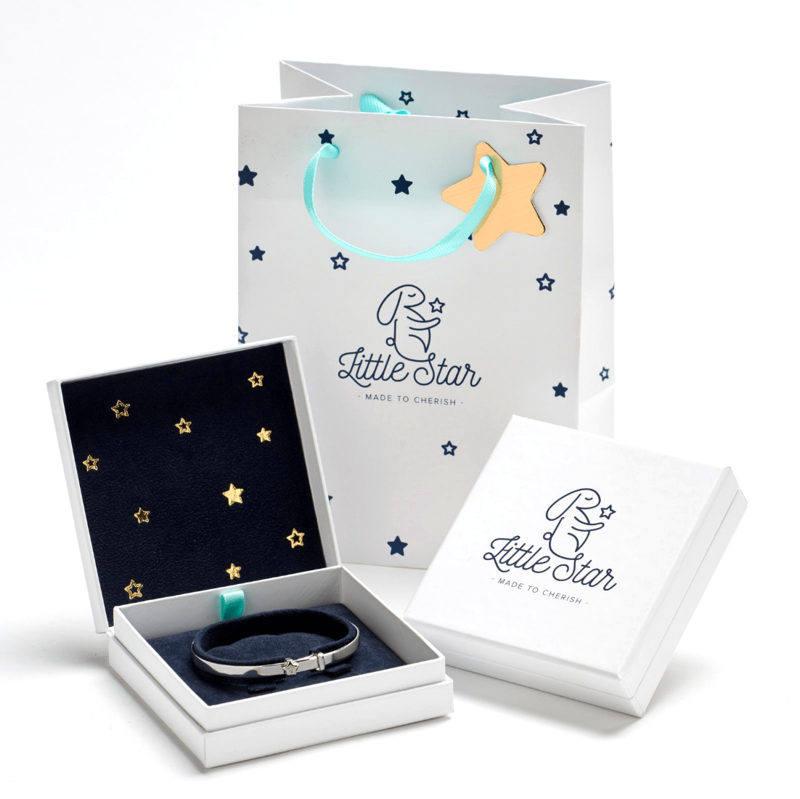 We love the idea of our fabulous Little Star Jewellery being given as the perfect gift and the perfect gift needs beautiful packaging. 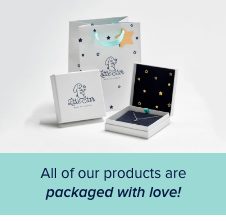 All of our jewellery comes in its own gorgeous gold star lined box, sat on a velvet insert to make sure your jewellery reaches you in pristine condition and featuring our star catching friend Cosmo. In addition to the gift box we’ll also send you our lovely gift bag so that you can hand over a truly rememberable Little Star treat.